The winner of Point, Click, Quilt is Linda D. Congratulations Linda! Probably by now y'all think I really didn't go to take classes with Susan....giggles. The really good stuff is worth waiting for, in my opinion! I figured most of you were out surfing the Internet for the World Wide Quilting Day stuff over the weekend and too busy to read my post anyway. Susan's classes were held at the Peggy R. McConnell Arts Center of Worthington, OH. The art center was beautiful and such a lovely place to hold classes. This is a wall hanging and we started by using either the window or a light box to trace our snowflakes. Rosemary aka Waldo was just humming along on her snowflakes. This is as far as I got on my snowflakes because I was having trouble with the tension on my machine. Ever notice your machine runs perfectly at home and then you pay for a workshop....ya arrive and your machine doesn't seem to work as well? A bit frustrating but overall I really enjoyed myself. Susan is an excellent teacher. She provides clear explanations and has such a wonderful way of speaking....my attention never wandered! The second day we worked on "November Leaves". Susan taught us about using fabric paint and Tyvek to create these beautiful leaves. Again, Susan's "November Leaves"....not mine. Please keep in mind I pulled this right out of my sewing bag after having it all folded up and didn't take the time to press it. I finished all the leaves and now I need to do the FMQing to finish it. I'm feeling quite good about how my leaves came out. Below are more of Susan's art quilts that I photographed during our visit. If you would like to see more of Susan's breath taking quilts, you can visit her Gallery on her website, Blue Moon River.com or just click HERE. Nature and bright colors are my thing so it is not so surprising that I love Susan's work. Doesn't it look just like a real gourd? The color is amazing and texture is outstanding. I sound like a stalker now don't I? I've been fortunate enough to be able to purchase a few of her pieces. You will probably recognize this peacock feather, it was featured on the cover of Quilting Arts Magazine as are several of Susan's other quilts. I had it framed and it hangs in my bedroom. I'll tell you a little story about how I came to purchase Susan's quilts. One year at quilt market, I was talking with another woman who had several successful quilting books published. She told me how little money the authors typically earn from their books. When I learned this I was surprised (ignorant of many things and still am). Seeing Susan's work lifts my spirits and I wanted to make sure she profited the most from her work....so I started purchasing her quilts. Mr. McSteamy asked me what I wanted for our anniversary on our 10th wedding anniversary (if my memory serves me correctly....it may not). He was thinking diamonds and I was thinking Susan Brubaker Knapp wall hanging....so I instead of diamonds I got a piece of her work. Definitely a huge WIN/WIN! Yes.....I really enjoyed myself and am so glad I was able to go and take some classes with Susan! Oh, yes.....I'm giving away a copy of Susan's book, Point, Click, Quilt and you can click HERE to enter. Comments for the giveaway will NOT be counted on this post (although you can certainly leave all the comments you want to here) just on THIS POST HERE. It stopped snowing....darn! 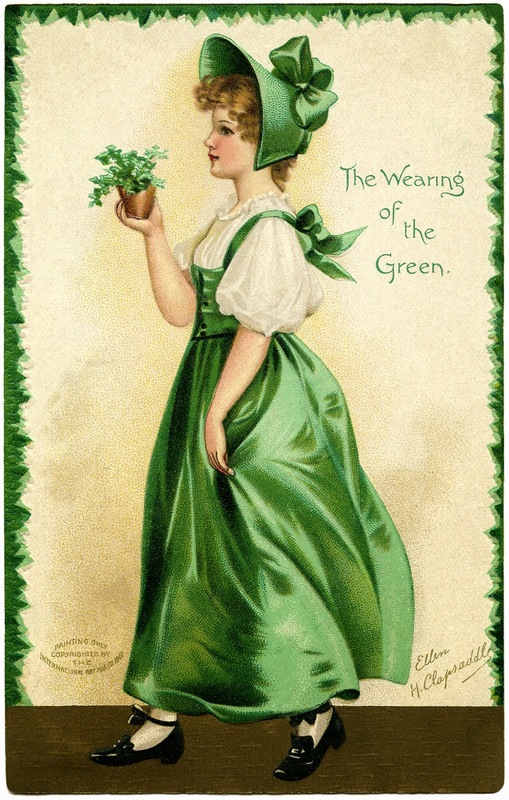 Oh well....I guess there is always green grass and beautiful blooming flowers ahead. Susan Brubaker Knapp Workshop, I LOVED It! I realize it has been a week since I attended Susan Brubaker Knapp's workshop, but I've had a kidney infection and today is the first day I have been up to posting anything. Rosemary and I loved Susan's workshop and I took lots of pictures to share. While I get my photos together, I thought I'd announce a giveaway :) I purchased a copy of Point, Click, Quilt from Susan to giveaway to one very lucky IHAN blog follower. The giveaway won't start until tomorrow, 3/21/15 but you'll have a week before the drawing. Thank you to everyone who sent well wishes recently! I can hardly wait to tell you all about my trip to Columbus to see Susan Brubaker Knapp....but first...I have to get through the worst of this kidney infection. My back hurt like the dickens while I was in Columbus....it wasn't the chair...apparently it is a roaring kidney infection. I'll be back soon to tell you all about the great time Waldo and I had. When my dear friend was ill she assigned me the task of clearing out her sewing studio. Between traveling back and forth and a surgery of my own, I was in PA as often as I possibly could be and doing my "job." We managed to go through some things and assign them to new owners and the rest was generously stored at another friends home. 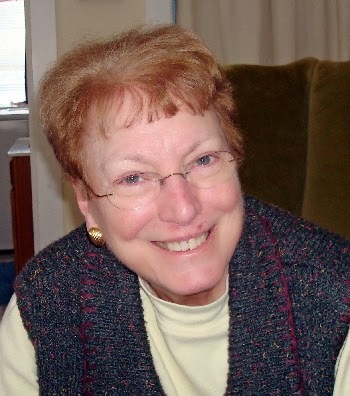 When I went back to PA for Mary Jane's funeral I had just a short time to go through the remainder of her things and rack my brain as to what projects I thought I could manage to finish for her and which would be better finished by the rest of her close knit quilting group. When I opened the bag with the squares I noticed a page with instructions. It became very clear that this was a group project (making the squares) and they were to be made into a charity quilt. I assembled the blocks and finished this quilt top and it will be donated in her memory. Do you think it needs a border? There is some red fabric left and I was thinking about small dark border and red binding....what do you think? You may have heard it is warming up here in Ohio. From mounds of snow to giant puddles everywhere.....I will miss the snow greatly. While dropping off Aaron this week I drove past a GIANT mountain of snow in a yard and my car came to an immediate stop and out came my cell phone. This mountain of snow is over 7 feet tall and it has been melting....can you imagine? Who ever piled the snow and then dug the tunnel is a super hero in my book. This is a view just inside to the right.....an enclosed cave was dug in the side....blows my mind. The view directly through the tunnel. Sure makes the assembly of a quilt top look like a walk in the park doesn't it? Gene Black, Alabama Quilt Artist's is giving away two PDF copies of his "Dance of the Japanese Lantern's" quilt pattern. CLICK HERE. QuiltShopGal has a few giveaways on her informative blog.....she is one of the Quilting Industries Super Heros in my humble opinion. Jack Dempsey Needle Arts Giveaway is HERE. A Modern Twist Giveaway is HERE. Eco Plus Premium Felt Giveaway is HERE. Best of luck in the giveaways! Having something to look forward to can be such a fun focus. Waldo and I are headed to Columbus, OH to hear Susan Brubaker Knapp speak on Thursday March 12th at the Quintessential Quilters Guild meeting. It has been quite some time since I've visited with Susan and I am sooooo looking forward to re-connecting with her. Friday March 13th Susan is teaching Thread Sketching Snowflake. Saturday, March 14th she is teaching "November Leaves". My pieces won't look anything like these.....but you know what? I'm going to learn and have some fun! If you are anywhere near Columbus, OH on the 12th of March, I invite you to join us for Susan's lecture. CLICK HERE for information and location. 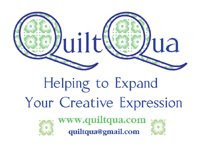 I'm not sure if there are spaces left for Susan's classes....but you can e-mail quintessentialquilters @ gmail.com to inquire.